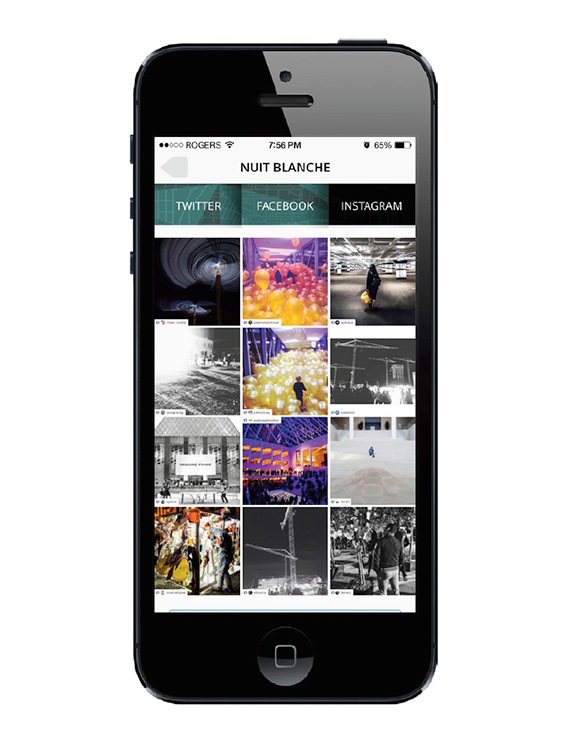 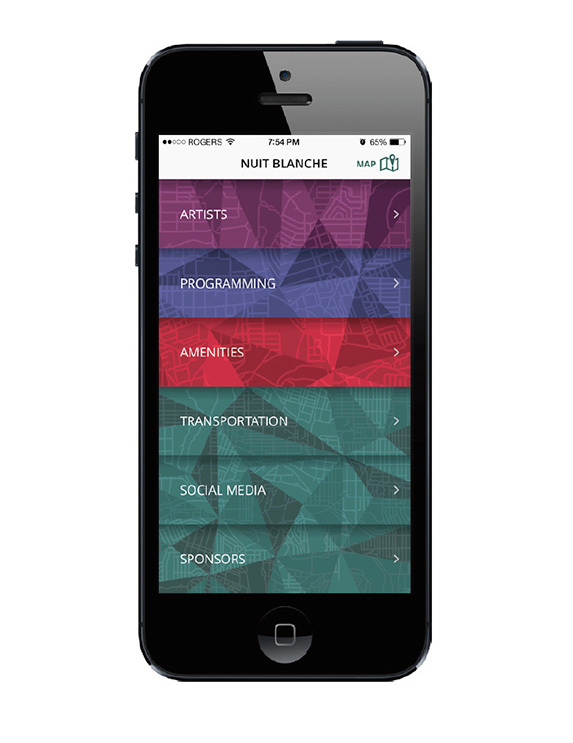 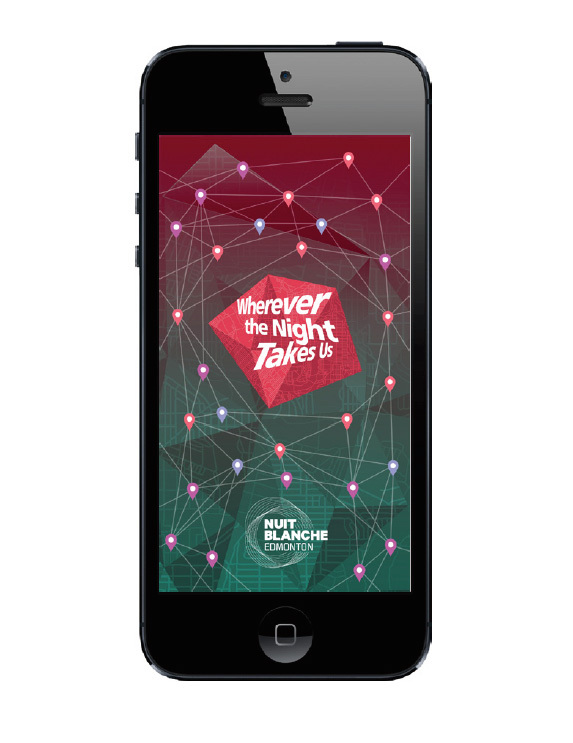 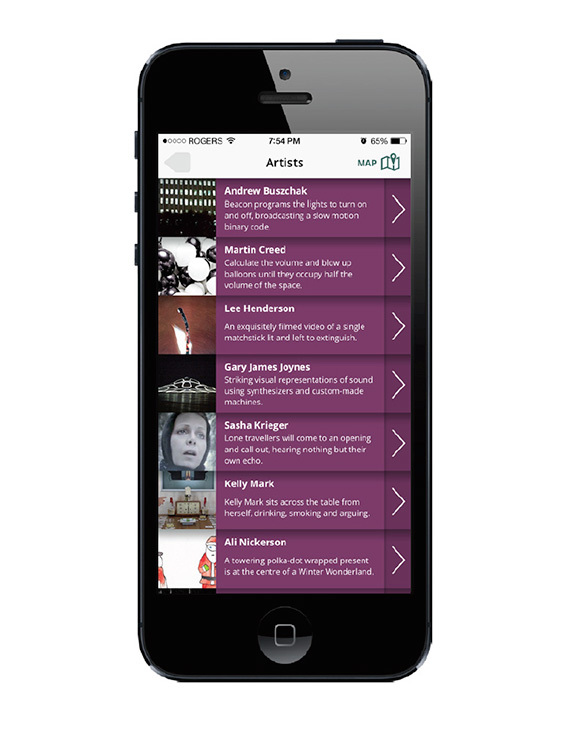 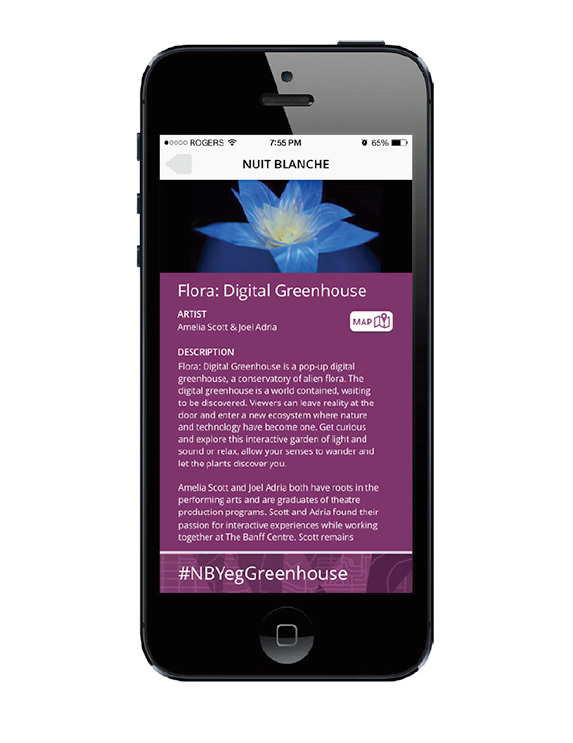 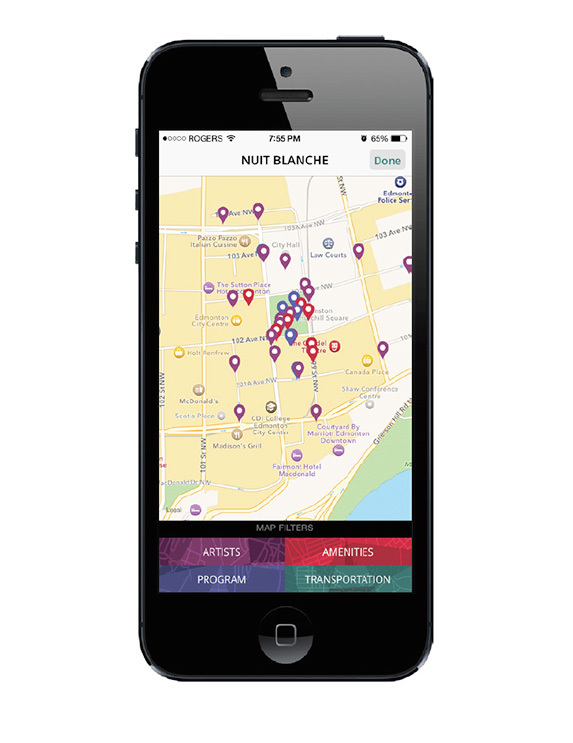 A mobile app was developed for the 2015 Nuit Blanche festival containing info on artists, programming and festival amenities. 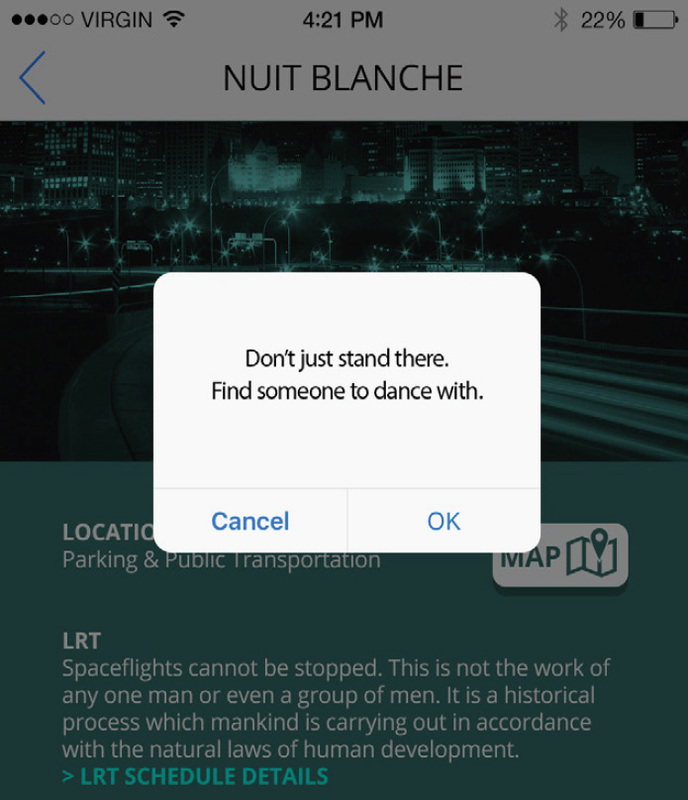 Playing on the theme of getting people lost we embedded notifications that would come up on random every 15 minutes. 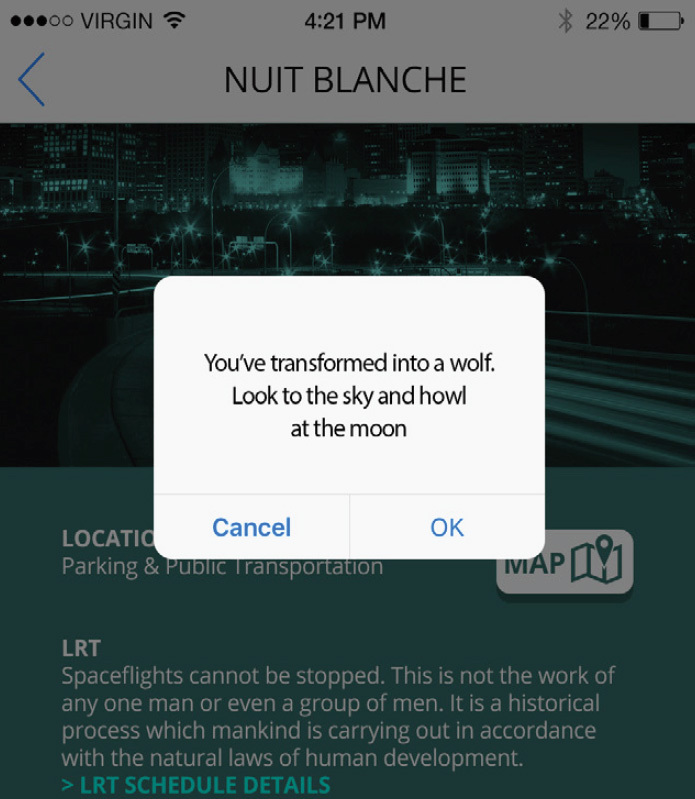 Notifications would ask you to turn left, right, go backwards, dance or howl at the moon.